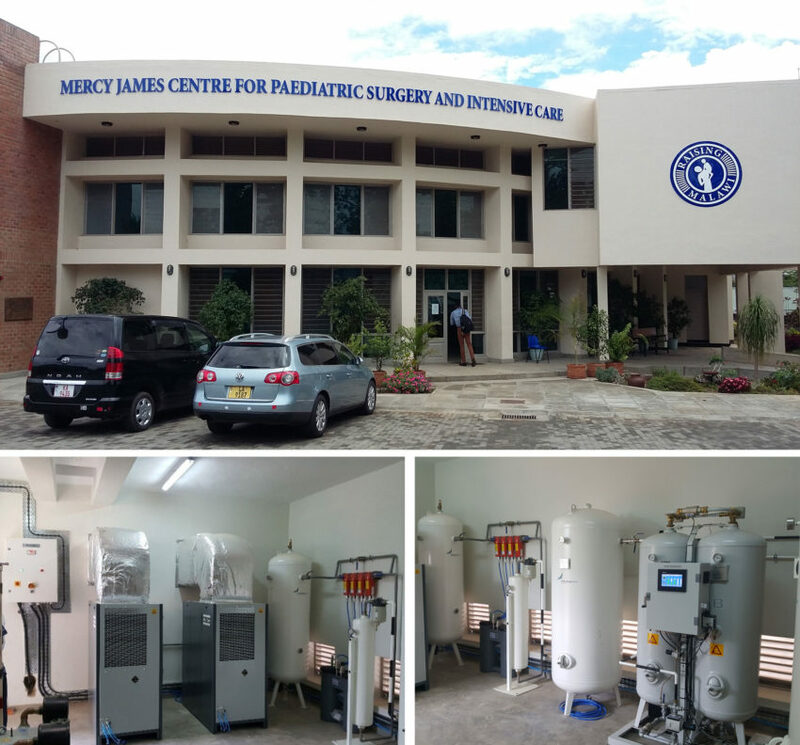 During March 2017 Intaka Tech commissioned its second Gas Generating System (GGS) at the Mercy James Paediatric Surgery and Intensive Care Hospital in Blantyre. The GGS unit supplies oxygen, medical air and suction at the facility. Due to the project being a green fields project, Intaka engaged with the funders (Raising Malawi) project managers, and it was agreed to house the system inside a purpose build room instead of a containerised system. The project included the medical gas piping and the bed head units (BHU’s) throughout the wards and surgical areas, as well as the extension of the medical gasses to the separate and adjacently located ENT building which lacked piped medical gasses. The oxygen plant produces up to 17kg oxygen per hour, and is backed up by a 2 x 4 oxygen gas manifold and a 2 x 2 medical air gas manifold, also provided by Intaka. The Intaka suction plant is of duplex design, where each pump produces suction of 65m3/h at between -60kPa & -85kPa. The project includes a 3-year preventative maintenance agreement, during which skills are transferred to the hospitals maintenance staff. The hospital thus has the option to conduct its own maintenance upon lapse of the 3-year period, or to enter into a further service level agreement with Intaka.